It’s prevalent throughout the modern game. 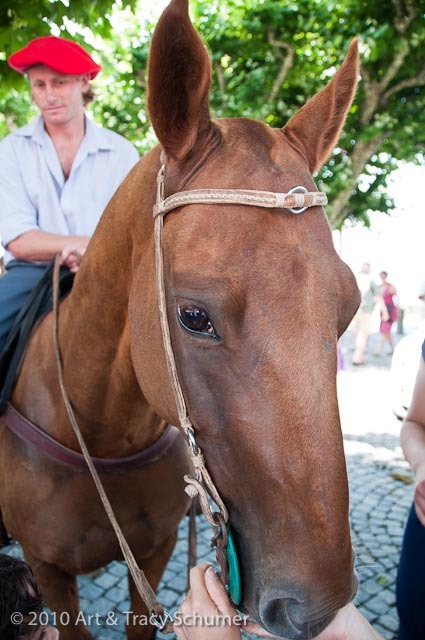 Argentina is a nation with a passionate horse culture that is an important component of their national identity. 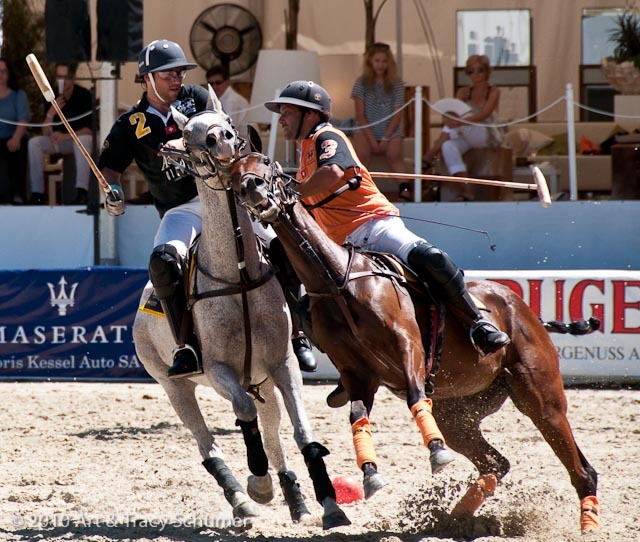 Polo came to Argentina in the late nineteenth century and the nation has enthusiastically embraced the game ever since. Today, Argentina is known as “the Mecca of Polo”. 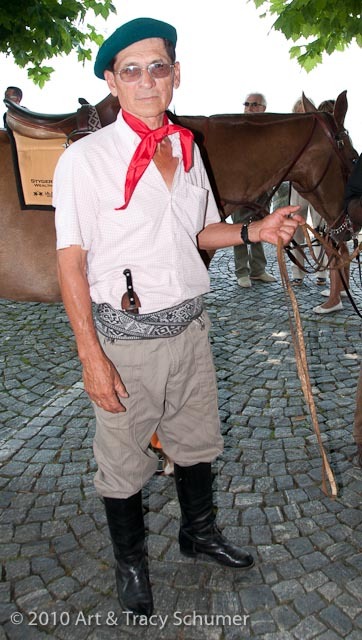 There is hardly a player in the world that doesn’t own a piece of Argentine made polo gear. Not surprising is the fact that Argentina itself produces many of the world’s top polo players and Argentine bred polo ponies are a consistent mount of choice. It was Marcos Uranga, serving as president of Argentina’s Polo Association, who first proposed creating a world governing body for polo. As a result, The Federation of International Polo (FIP) was formed in 1982. One of the goals of the organization is the return of polo as an Olympic sport. Polo was a medal event at the games of 1900 and remained so until 1936. Argentine players won team gold medals for polo in 1924 and again during the Berlin games of 1936.Today, thanks in part to the efforts of the FIP, polo is played in 77 countries around the world. At the recent arena tournament in Ascona, Switzerland, the Argentine influence was everywhere. Most of the horses played were Argentine bred and much of the gear used carried the influence of Argentina. Gauchos in traditional dress tended the horses who were often decorated in Argentine rawhide. 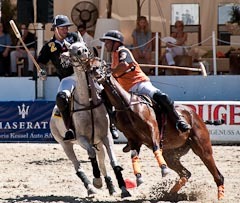 Each of the teams had an Argentine player riding and the bold style of Argentine play seemed to direct the spirit game. The pride and respect for the culture was evident throughout the tournament; often on a subtle level but always present like a fine spice that flavors a dish perfectly.